November is National Adoption Month! Adoption is very important to me. When I was 8 years old, my mother remarried and my step-father signed documents to make me his daughter legally. This adoption was one of the best things that happened to me because I learned that a person can take full responsibility for a child and love them unconditionally whether or not they're of the same genetic makeup. People like this are one of a kind and this month highlights how thankful we are for them, as well as all the work involved to care for displaced children in the US. There are 415,000 children in the U.S. foster care system and 108,000 are waiting to be adopted. AdoptUSKids maintains a national photo listing service for children waiting to be adopted. Since the project launched in 2002, more than 25,000 children who were once photo listed on adoptuskids.org have been adopted and nearly 38,000 families have registered to adopt through the website. Nevertheless, older youth are disproportionately represented – approximately 41 percent of children and youth photo listed on adoptuskids.org are between 15 and 18 years old, but only 17 percent of those adopted have been in this age group. The U.S. Department of Health and Human Services, AdoptUSKids, and the Ad Council are asking for your help in spreading the word about a new PSA campaign that encourages prospective parents to adopt older youth from foster care. 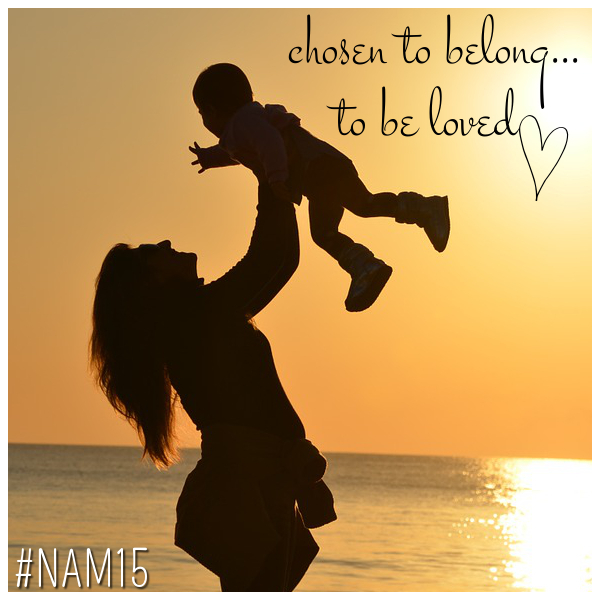 The theme for National Adoption Month is, "We Never Outgrow the Need for Family." That's because older children and youth still have many big milestones in their life they need a family for. Take a look at the following videos! You can call 1-888-200-4005 (English) or 1-877-236-7831 (Spanish) to receive the latest information about the foster care system and the adoption process. Please take a moment to support AdoptUSKids on Facebook and FOLLOW on Twitter. This is a sponsored post. Latched On Mom was compensated in exchange for sharing information regarding this event. All thoughts and experiences expressed are of my own. For more information please see my full disclosure.